New to road cycling? If so, welcome! I was like you back in 2009, renewing my love of the bike after a twenty year break. Since then, I've learned lots and met a huge amount of people through my readership here and through my Twitter following. In no particular order, I've pulled together 50 random tips from my own experience and the contributions of some readers to help you improve, learn about road cycling and help you fast track your ability and knowledge as a new road cyclist. Always carry a gel with you. Not only will it help if you run out of energy but it also makes a handy inside tyre liner to get you home if you gash your tyre. Get your saddle height right. Read here on how to do it yourself. Be seen. Wear bright, high visiblity clothing. Always wear a helmet, whatever the weather. Go and try it on, get the fit exactly right. It has a very important job to do! Buy some arm warmers, they are so useful to pull up and push down when trying to regulate your body temperature. Particularly good if you are going on a ride with lots of climbing. Buy a cadence and heart rate monitor. Read this previous article by a cycling coach on the importance of training use heart rate zones. Speed = Gears + Effort + Cadence. 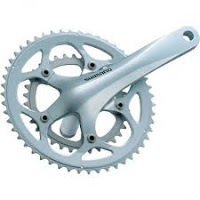 Buy cleats (clip in pedals and shoes) as soon as you have mastered your bike/gears etc, they will make you pedal much more efficiently and ultimately make you ride faster. Here's my Top 10 tips for learning to use them. Ride with a minimum cadence (pedal revolution speed) of 85rpm plus. Don't buy cheap stuff, you invariably buy twice as it wears out quickly. You're unlikely to need sports drinks/gels on short rides of less than forty miles. Build up slowly, you're not going to be Bradley Wiggins without plenty of good quality miles under your belt. Use chamois cream to help prevent saddle soreness. See what pro rider Andy Tennant users from a previous interview with him. Ensure your saddle bag has the right components in it to get you moving when riding on your own. Here's what I carry in mine. Keep your chain well oiled. WD40 is more of a cleaner than a lubricant, buy a good cycle lubricant (only about six pounds a bottle). Always wear glasses when you ride, whatever the weather. They prevent grit or stones flicking up into your eyes. Always ride with lights in dusk or dark conditions - a mandatory! Eat before you're hungry, drink before your thirsty - all the pro's do this. Nothing worse than "bonking" (running out of energy) on a ride. Have a freezer bag (or dedicated sealable carrier) in your back pocket at all times with your phone, some money plus a credit card. You never know when you might get stranded. Carry ICE information. Read this. Try not to gesticulate with drivers. You'll quickly realise that you'll be beeped at a lot when you hit the road, failing to rise to it keeps you safe. If you are faced with a dangerous driver, take down their details and report them afterwards. Join a club or ask a more experienced rider to take you out. You'll benefit massively from their experience. Get your bike serviced regularly. A poorly maintained bike will be just that. Buy some crudguards or mountable mudguards for the winter to protect your bike, keep the rain off you or your ride partners. Don't lock your arms out when riding on the hoods (the brake/gear levers), keep them flexible at all times with a bend in them to absorb the road bumps. Don't worry that everyone is riding quicker than you. We all start somewhere and I did more than my fair share of huffing and puffing up what I thought were hills, they were just long drags. You will improve in time if you stick with it. 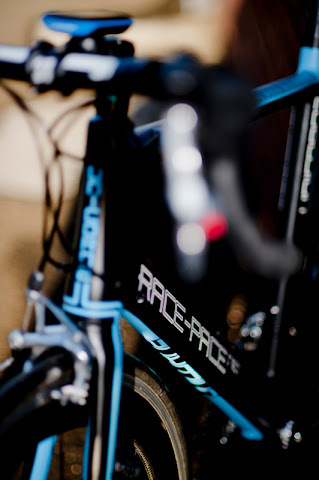 Get fitted on your bike. Most new cyclists are too high in their saddle or too low, massively impacting on pedalling efficiency. Learn how to fix a puncture in the comfort of your own home first by taking your wheel out of your bike, deflating your inner tube, removing it and re-installing it. Read my 10 point survival guide. Never wear headphones when you ride. You need total spatial awareness on the road at all times. When approaching a junction, make sure you are in the right gear to accelerate off. Don't coast up and leave it in a hard gear. This means you get your pedal round quickly to clip in and you have the acceleration to make gaps. If you have a big gear engaged, you won't be away quick enough. Don't drink when going down a hill. Descending is very technical and you need all your reactions to control the bike and - more importantly - keep your hands on the levers. When going up a hill, don't grind a big gear. Some people can, big respect to them. The general idea is to keep your heart rate in a controllable zone so you don't blow up. It's better to spin an easier gear which you can sustain for a longer period. When going up a hill, keep as cool as possible. Unzip your jacket, peel off those layers and let the heat escape. You'll quickly start generating heat as you really push those pedals and the hotter you are, the harder it gets. Learn how gear ratios work. Read this blogpost to give you the lowdown. If riding with someone else, share the workload and stay as close as you can to the person in front of you (their back wheel). It gives you enormous benefits in saving energy, around 25% if you get it right. If you drift off someone's wheel, try and get back there, all experienced cyclists always ride tight to conserve energy. Check your tyre pressures regularly. It's amazing how much extra speed you can generate when your tyres are at full pressure. You can conserve precious energy by this simple regular check. You can find the optimum pressures on your tyre sidewall. If you've recently purchased a bike, consider to change the brake blocks. 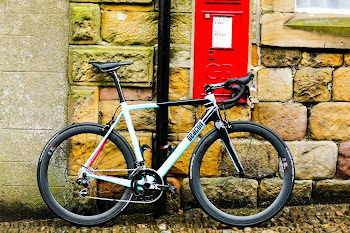 Most bikes under £1K have budget blocks on them and it's well worth spending £30-£40 on a decent set of upgrades, they are one of the most important elements of your cycling, being able to stop! Increase your pedalling efficiency by learning how to "scrape through" - read this to explain how/what to do. Invest in some tools. 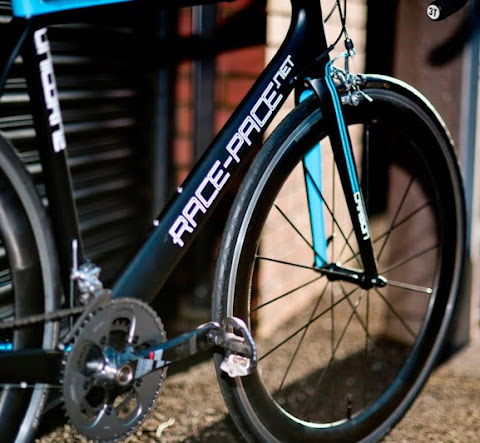 See what former pro-bike mechanic Mike Jackson recommends in a previous guest blogpost. Keep stretching yourself by entering events. It gives you motivation to train and key milestones to aim for. Find a riding partner. Fantastic to get you up and out on those cold or wet mornings. Wear a base layer when you ride. The weather can change out on rides, even when it's cold, you can be warm as your engine is busy turning the pedals. A base layer helps to wick away sweat, preventing rashes and sores. If it's sweltering out, don't bother as your cycling top should do the job for you, when it gets a bit cooler, you should stick one on under your top. Record your ride data somewhere. There's nothing more motivational than seeing how you are improving. I started with a spreadsheet and then moved it all into Garmin Training Centre when I acquired a Garmin Edge 800 ride computer. Work on your core fitness and strength in addition to cycling on your bike. Cycling can be quite one-dimensional in giving you good aerobic fitness however to ride faster, you need to strength train in other areas too. Get your saddle fore/aft position right. Tips on how to do it here. Learn to love hills. Most people avoid them when starting out yet they are an essential part of making you fitter and stronger on the bike. Read this article to get you focused. Put two bottle cages on your bike. For longer rides, it's essential to carry enough fluid to keep you hydrated. Eat protein within 20 minutes of returning home from a long ride. A small golden window exists for you to push some muscle assisting protein into your body to assist with muscle repair, prepare it before you go out. Learn the basics of bike maintenance. In particular, keeping your bike well oiled, torqued and clean. It will preserve the value of your bike in the long term and maintain residual value and ensure faultless performance when riding. Always give another road cyclist a nod when you're out. If they don't nod back, then that's their problem. If passing someone, a "good morning" goes a long way. I've met some great people out on the road just by asking "Going Far?". There are lots more tips which I'll keep collating and posting, if you think I've missed something essential, please drop a comment in the box below. I am an absolute newbie to road biking and this article (with all the links) was GREAT! Thanks much. Bicycles should go in the same direction as the traffic flow, not against it. Ride in a straight line and use hand signals so drivers don't have to second guess what you are about to do. Riding defensively also means using both your eyes and ears. You want to be able to hear a car coming behind you. Listening to music with a headset and riding is not riding defensively. Be alert to opening car doors, potholes, large cracks, or railroad tracks and anything that might cause you to lose control. Always look before turning, and watch for left or right turning traffic. Yield to traffic and pedestrians. Wear clothes that make you appear more visible. This post is very useful for us. Your article is very relevant to my thoughts.